And that's all they've told us about it. So, what have we got to go on? 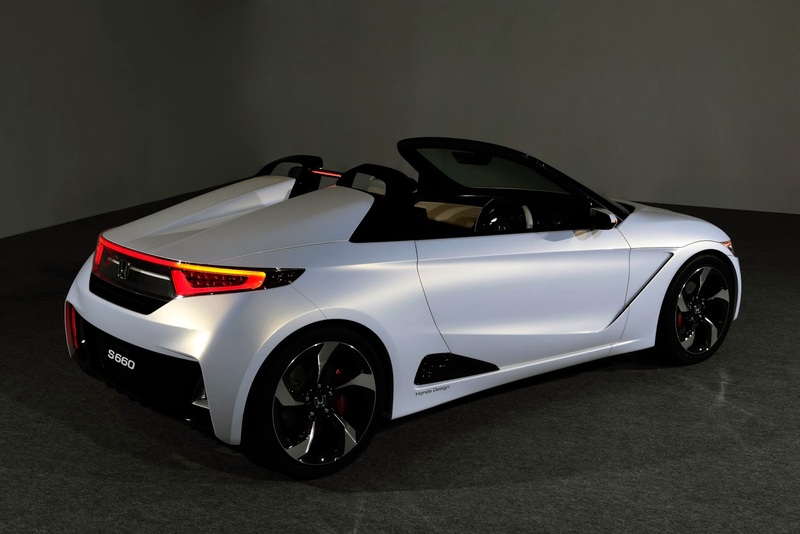 The press release states the S660 is, "an open-top sports-type mini-vehicle"
Not a lot else then aside from the photos. 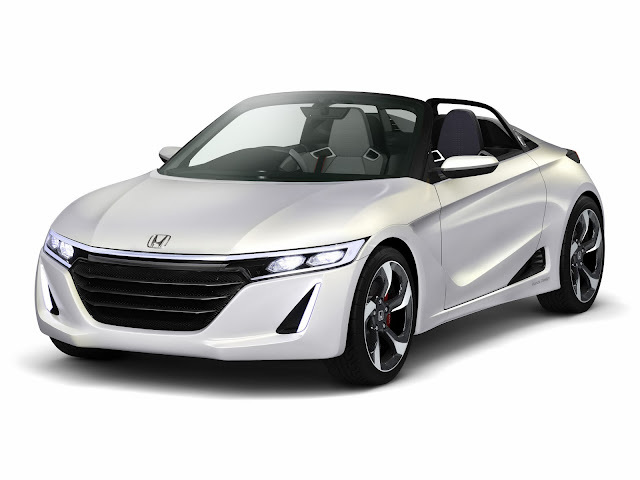 It harks back to the Honda Beat which was also an open-top sports-type mini-vehicle. It was rear wheel drive and was powered by a 660cc engine. That's no coincidence is it. 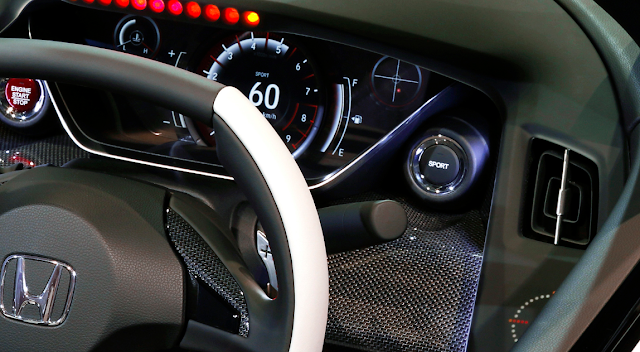 The S660 has a Sport button (see zoomed in photo) which is interesting. 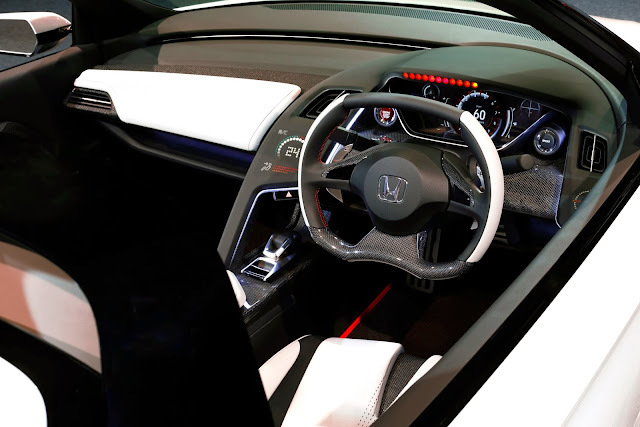 It also has flappy paddles, which means it's an automatic. For the time being that's all we can tell you aside from the fact it's a looker and Honda needs to get it made pronto. More information will be released as we approach the Tokyo Motor Show.